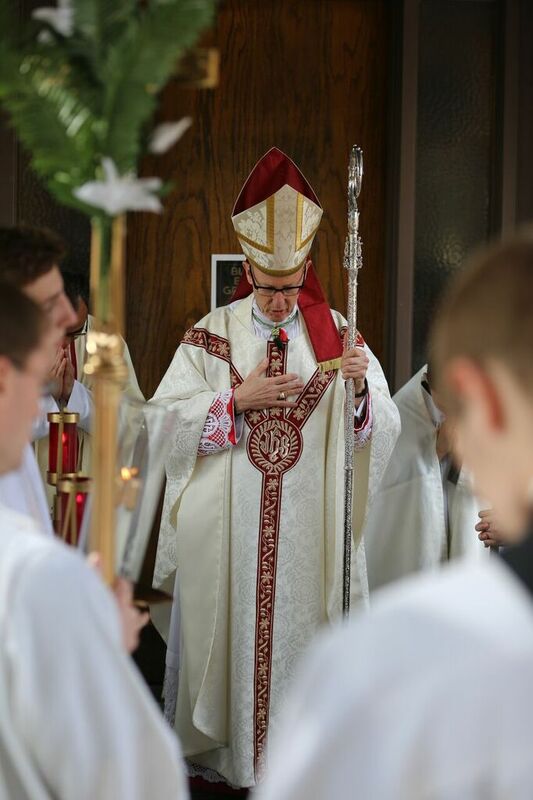 On Good Shepherd Sunday, April 17, 2016, Saint Teresa's Church in Lincoln, Nebraska was blessed by Bishop James Conley. 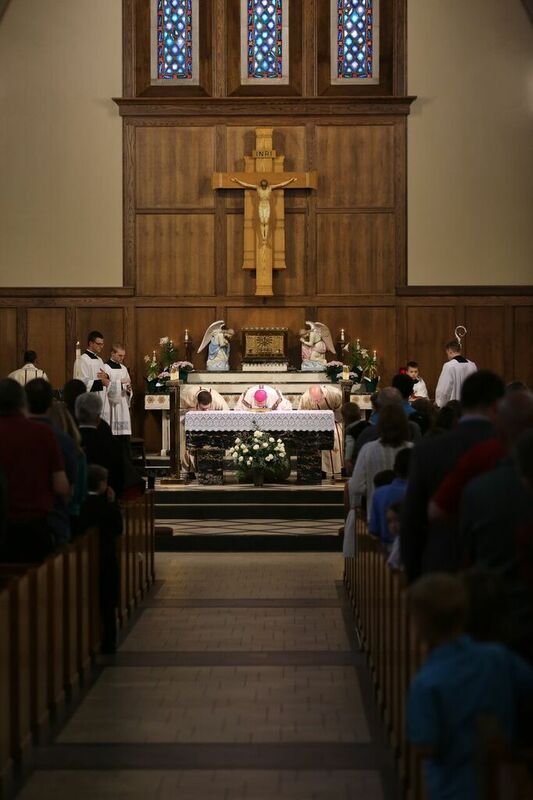 The parish's 10 am Mass was filled with parishioners and neighbors to celebrate the culmination of over a year of planning and two months of construction. 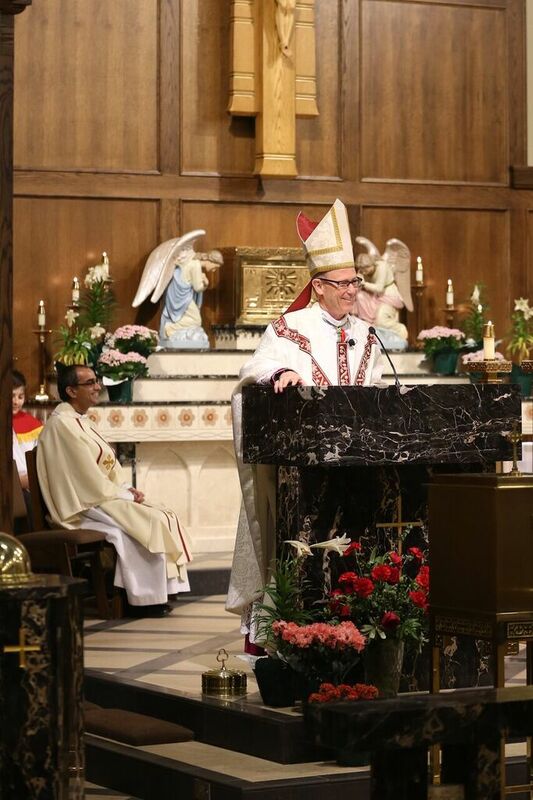 Bishop Conley mentioned in his homily that the desire to beautify Saint Teresa's Church through renovation is a long seated tradition in the Catholic Church, citing Santa Prassede in Rome, which was renovated in the 9th century, as precedence. The enhancements to Saint Teresa turns ones attention towards the liturgical actions that take place in this sacred structure. For example, the royal blue ceiling holding gold stars evokes the heavenly realm, our final home. Additionally, since the removal of the carpeting, the acoustical resonance of the church has greatly enhanced allowing the congregation to hear the fullness of the choir and the sung texts of the Mass. The "new" church will only strengthen the dynamic and active parish life already existing at Saint Teresa. St. Mary's (David City, Nebraska) renovation and restoration, done in collaboration with EverGreene Architectural Arts, is complete - and the result is striking. 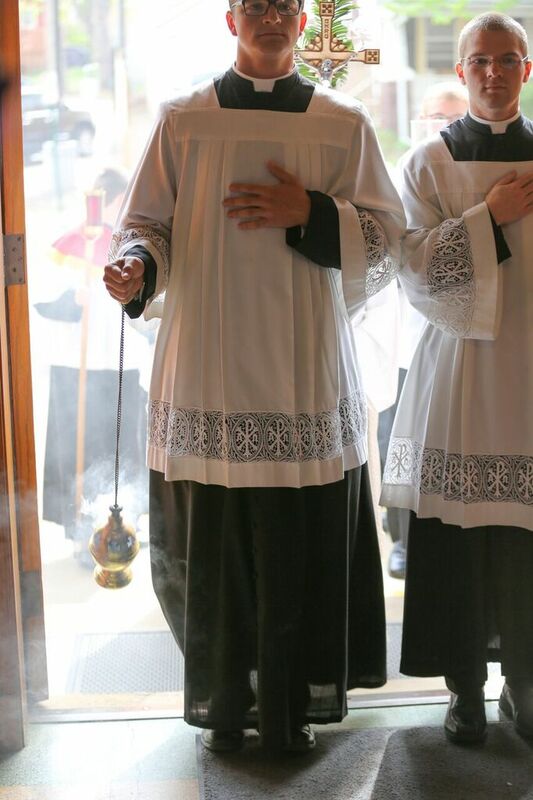 Here are more photos from the rededication last Sunday. St. Thomas is being noticed beyond Lincoln...see article in this week's Denver Catholic. 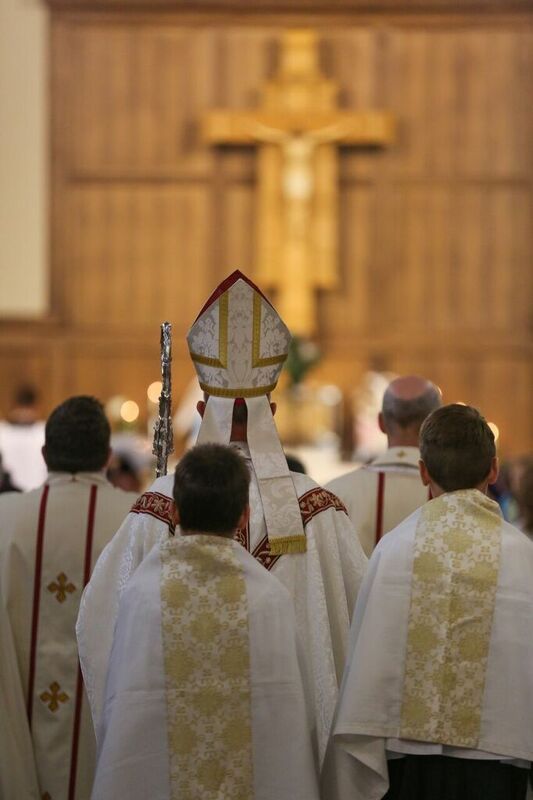 A wonderful video by the Catholic Diocese of Lincoln. 18 months of construction condensed to 3 minutes!